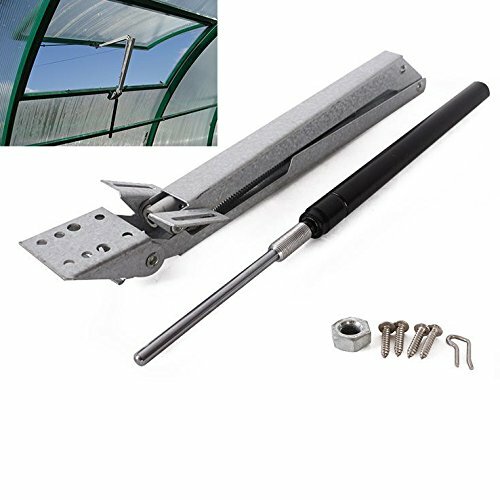 Automatic ventilation window opener for greenhouse ventilation An automatic ventilation window opener in a greenhouse can not be used in a temperature higher than 50 degrees celsius. Make sure your greenhouse window is open properly, without hindrance. Product specification: - the maximum height of the window opening to the outside is about 45 centimeters. - the maximum weight of the ventilated window is not more than 7 kilograms. - automatically adjust the temperature from 15 to 25 degrees C.
If you have any questions about this product by kuangyuguang, contact us by completing and submitting the form below. If you are looking for a specif part number, please include it with your message.